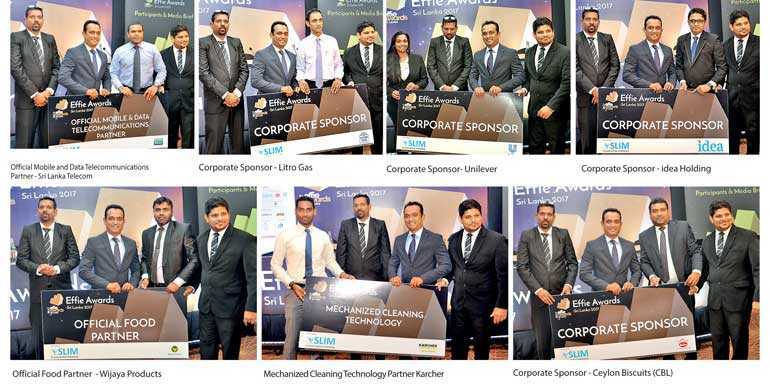 Sri Lanka Institute of Marketing (SLIM) on Monday announced the deadlines for the Effie Awards 2017 which would be held in Sri Lanka for the 10th consecutive year. The Effie Awards launched by the New York American Marketing Association to recognise the most effective advertising efforts is looked forward to by many advertisers, agencies and marketing professionals both locally and globally. He added that they expect to extend their scope by encouraging upcoming advertising agencies to participate and display their outstanding work to gain global exposure and recognition. Edward mentioned that since Effie global is celebrating its 50th year along with its 10th year in Sri Lanka this year will be the most memorable one yet. Effie worldwide stands for effectiveness in marketing communications, spotlighting marketing ideas that work and encourage thoughtful dialogue about the drivers of marketing effectiveness. Elaborating on the evaluation criteria of applicants and expectations of the judges Sampath Bank consumer banking senior deputy general manager and head of jury Tharaka Ranwala stressed, “Please ensure that all cases made are very clear and precise in explaining the relevant corporation’s strategic challenges and objectives because ultimately we look for the effectiveness of the strategies.” He requested applicants to spend enough time in preparing to forward entry and to focus on showcasing a ‘wow factor’ in order to win. “We will also be looking for concrete evidence to prove that the initial idea of the marketing institution and execution of it was the true reason for the success of the product or service,” he affirmed. He also stated that the panel of judges will be spending up to 15 minutes on each case and even 20 minutes in some instances and hence each case would be perfectly assessed.As for the actual preparation for the entries Ranwala suggested that the agencies applying should consider appointing a middle level staff member to make the entries while being guided by a senior member. “Do not wait until the last minute to submit entries and do not submit entries put together in a haphazard and hurried manner,” urged Ranwala. Speaking on the eligibility criteria for application Singer Sri Lanka Senior Brand Manager and Project Chairperson GayanPerera said, “We are looking for all marketing efforts implemented in the Sri Lankan market for the time period 1 October 2016 to 31 September 2017.” He noted that entries linked to after this time period expect for the “sustain success” category will be relevant for next year and that they would not be evaluated. First deadline for submitting entries will be 28 June and entries can be made at a discounted rate. Second deadline will be 5 July and the final deadline will be 12 July.